This site is dedicated to one of the primary keystone species, the beaver. A keystone species is one that modifies the environment in such a way that the overall ecosystem builds upon the change. The ponds, wetlands, and meadows formed by beaver dams increases bio-diversity and improves overall environmental quality. Many modern environmental decision makers do not fully understand the positive effects that beavers and dams bring to ecosystems. This is understandable, because beavers had been virtually eradicated prior to the development of modern scientific methods. 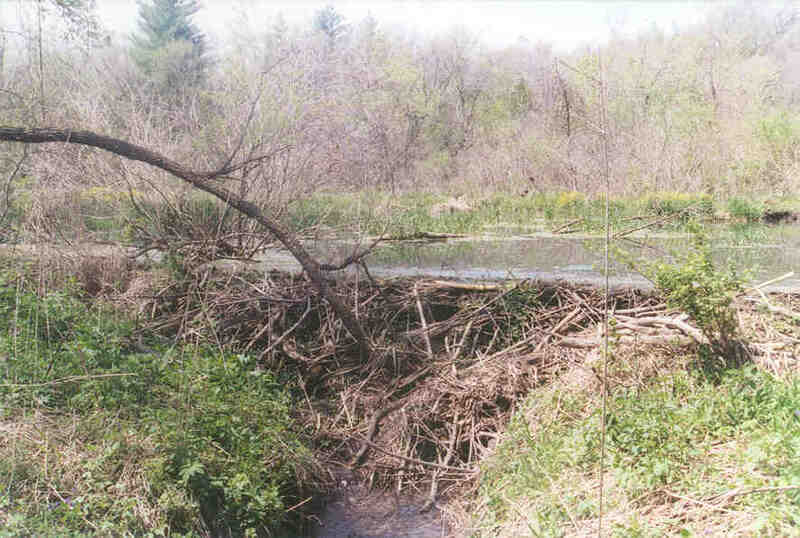 This site incorporates first principle engineering concepts in combination with environmental observations to illustrate the extent that our watersheds have changed with the removal of beavers. Beavers affected our ecosystems and land in a very extensive and positive way. Modern society has recently begun to realize the benefits of wetlands. This realization marks a turning point in over 300 years of extensive wetland eradication. Beaver dams are natures primary method of establishing wetlands. Beaver dams represent the only natural methods of forming lakes, ponds, and wetlands in most watersheds. The exceptions to this would be glacial lakes, or lakes formed by geologic activity. This website is designed to show the numerous benefits of beaver dams. The original ideas on this page originated from coursework in the Agricultural Engineering Department at the University of Minnesota. The author, Steven G. Grannes has a Master’s Degree in Agricultural Engineering with an emphasis in Soil and Water Management.